…I think they will be good friends. We have been hibernating for months, due to the Human Bean being what she calls ‘otherwise occupied,’ but we believe to be lazing around and not taking care of her Hitty duties. We are glad to be back and have checked up on all the posts about Arianell’s birth. We are very pleased she is now grown up enough to be developing close friendships. We are glad you have returned…other occupations do sometimes interfere with Hitty duties…alas. Oh, how very dear. It’s wonderful to have a good friend. Dolly play is a good way to develop friendships. Dolly play has certainly brought me friendships, and cemented them! I am glad these girls have found kindred spirits in each other! 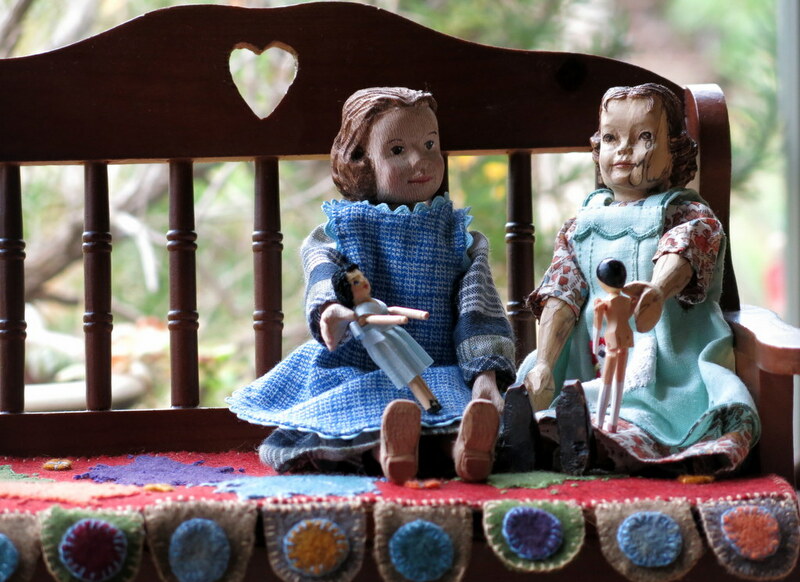 What can be better then a good friend to play dolls with. They are both so darling. And I do love those tiny dollies! 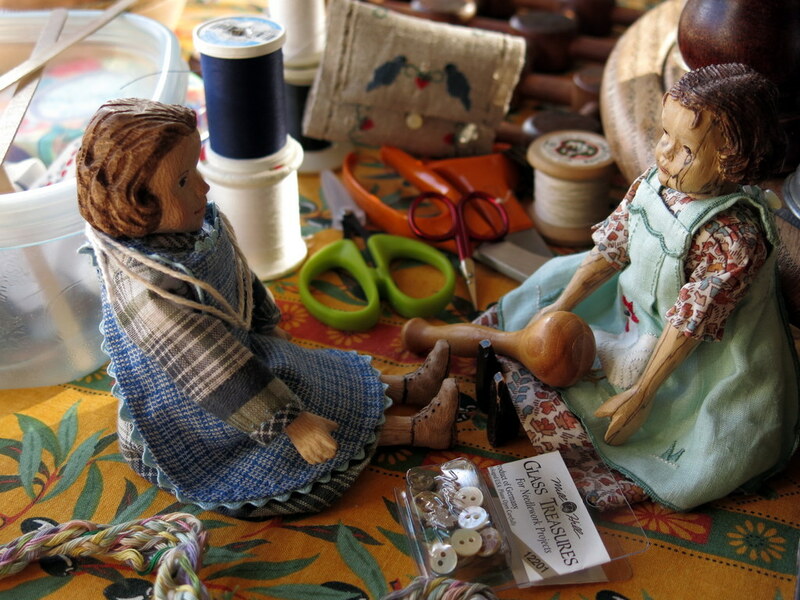 The doll’s dolls were just waiting for little girls to play with them…Judy Brown made the little one in the blue dress, and the little one in it’s all-together came from Polluck’s Toyshop in the UK but was made in Italy. Friends are gifts for the soul…so is the blog.